YOUR, KEYWORDS, HERE: Type your main keywords. GOOGLE+ID: Your Google Plus profile id (replace 3 times). GOOGLE-WEBMASTER-CODE: Google webmaster tools verification code. BING-WEBMASTER-CODE: Bing webmaster tools verification code. Sylhet, Bangladesh: Your state and country name. Msdesign.rtml: Facebook page user name. @msubelbd: Your Twitter username (replace 2 times). Go to Template > Edit HTML and find below code and change # with your social links. Go to Template > Edit HTML and find below code and change # with your menu links. On every post, you have to need use below iframe player on HTML tab. 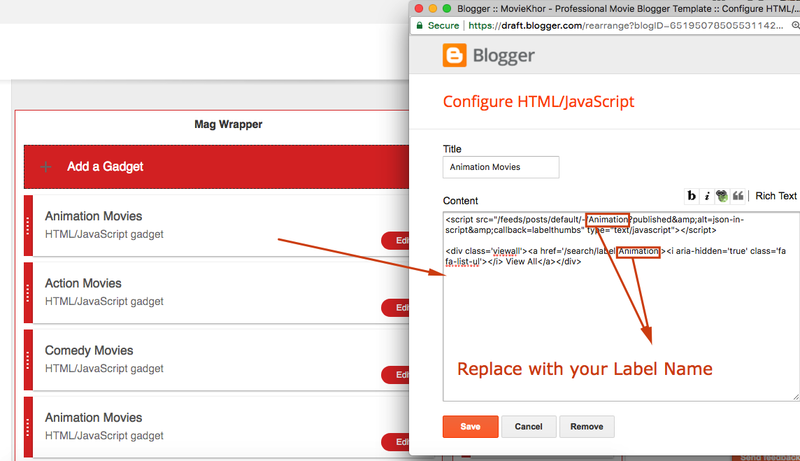 Go to Edit HTML and find https://moviekhor-templatemark.blogspot.com URL. Replace this with your blog URL.